The great thing about Inflatables is that, once they’re inflated, they can be built up to any size and once you’ve climbed to the top of a large inflatable, you’ll need to get back down again. What better way to make your way back to solid ground than (on your bum) down an amazing slide! Just the feeling of the wind through your hair as you career down the slide is enough to make you want to head right back to the top for another go! Sunshine Events offer a great range of amazing slides - let’s start with the smallest of guests at your event. 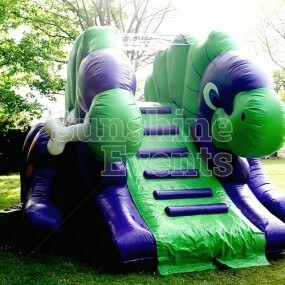 The Children’s Dino Slide is perfect for little ones at your Fun Day as Dudley (that’s what we call him) beams down at them. Then there’s the huge Inflatable Slide, standing at 20 feet high it’s an impressive sight! 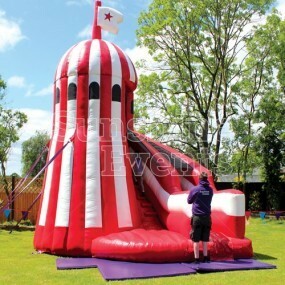 Finally, for funfair events, we have the Helter Skelter Inflatable Slide, standing proud in red and white stripes. Both children and adults will be lining up to ascend to the top of the slide and zoom down the slippery slope - all you need to do is watch their smiling faces to see how much fun these slides really are! Or try it for yourself, obviously. Why book with Sunshine Events? 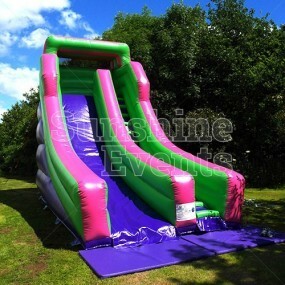 Housed in our huge warehouse, every one of our inflatables is designed and built especially for Sunshine Events, no tired-looking, second-hand slides here. We’ll ensure that they always arrive to an event in pristine condition and primed to be inflated at your event to take the centre stage. We pride ourselves on the quality of our equipment and that’s why people keep coming back to us, time and time again. 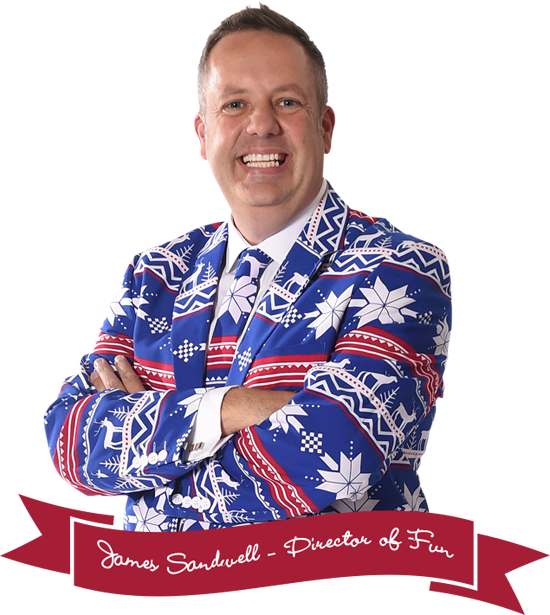 Safety is the name of the game at all our events, so we always ensure that fully trained Fun Expert is on hand to monitor the larger slides, or that a responsible adult is present during the use of smaller Children’s Dino Slide. Safety mats are included with every inflatable hire to ensure there are no scuffed knee when guests come off them too - everything is taken care of! If you need Public Liability Insurance or Risk Assessment documents these are available to download directly from our website where you can also find loads of 5 star reviews from our happy customers who have booked and hired us in the past. We come with a great reputation and it’s only getting stronger every day!